The exporting service of Globalchemmade.com is the one which can help internal chemical companies from all walks expand international trade. At the mean time, it also helps international companies to enter and expand chinese market-demanding. 	·Based on the network trading platform—www.globalchemmade.com, we can acquire trading opportunities and orders by showing and expanding the companies & products of suppliers. 	·We have a body of exporting service workers who are professional & experienced. After years of accumulations, we already have plenty of clients resource and extensive selling experience since we’ve founded our team. We can provide you all series of “one-stop” product showing,selling promotion,inquiry dealing ,procedure disposing,commodity inspection and clearance of goods. 	·The thousands upon thousands of register members in Chenmade.com can find the users who have direct needs for foreigner companies. 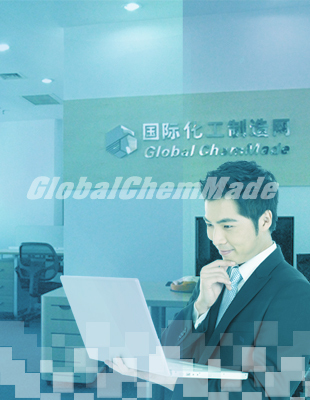 	·There’s already thousands of international register chemical companies and register trading members in globalchemmade.com, they can find the exporting way for chinese chemical companies.